This easy to wear piece is made in Cape town from hemp/organic cotton, featuring a raglan contrast sleeve. 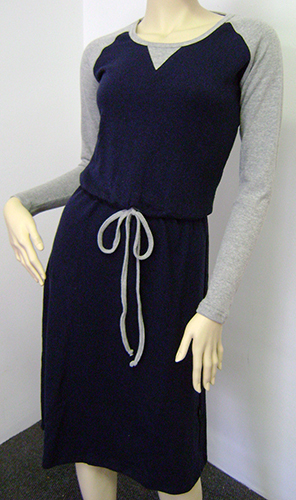 This eco-friendly dress is easily layered and incorporated within any winter wardrobe. Its drawstring waist and slim a line cut is flattering on all figures.